Battery Park is a newly developed outdoor urban park connecting Cape Town’s V&A Waterfront with the central business district. 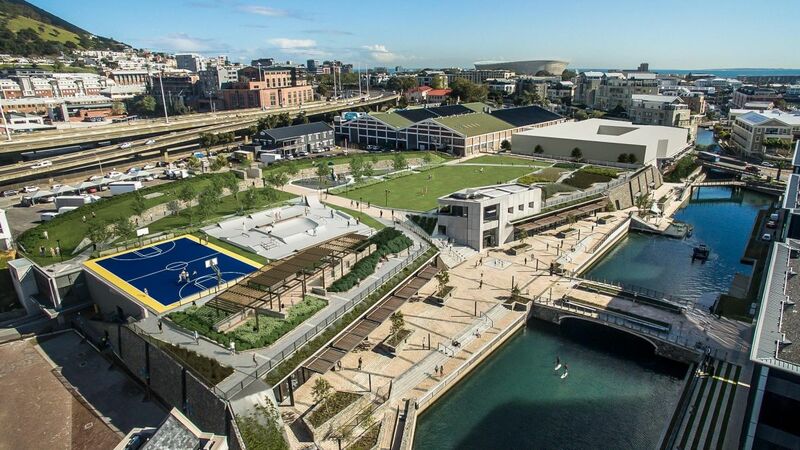 The 12 000m2 park was opened on the 10th of November 2018, linking the city and Table Bay Harbour, using a series of pedestrian routes, including one alongside the existing canal. Visitors to the park are able to enjoy a variety of activities, such stand-up-paddling along the canal and fitness tracks, shopping and live entertainment within its many public spaces. 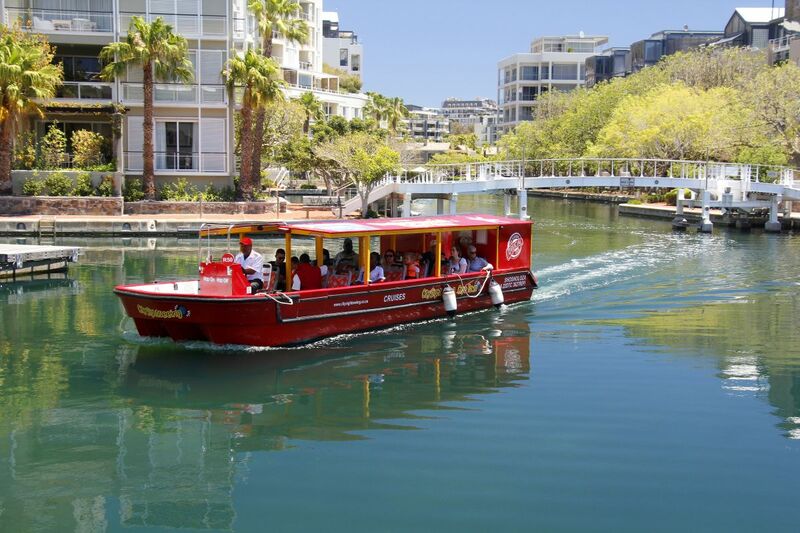 If you would like to explore the canal by boat, City Sightseeing has a 20-minute hop-on, hop-off canal cruise between the Cape Town International Convention Centre in Cape Town's Foreshore area and the V&A Waterfront. Your ticket stays valid for the entire day – this is your quickest and easiest route between these two destinations – and also to Battery Park – and you can stop off at various points along the way. 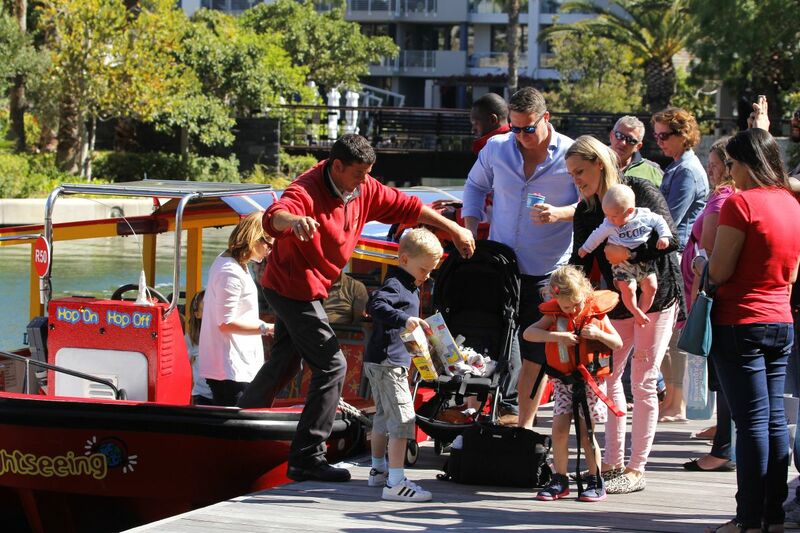 The canal boats have onboard audio commentary in 16 different languages and a special kids’ channel. Battery Park will host a series of sporting activities, including water paddling, kayaking and swimming. The City Sightseeing water taxis will transport passengers between the V&A Waterfront and the Cape Town International Convention Centre. A four-storey parking facility underneath the urban park offers 1 206 parking bays for visitors, tenants and residents. The parking area is accessible using either Alfred Street or Dock Road. Landscaping in and around the park comprises waterwise fynbos and other plants and trees native to the Western Cape. Since Cape Town is a water-conscious city, harvested rainwater and greywater is used to maintain the plants. 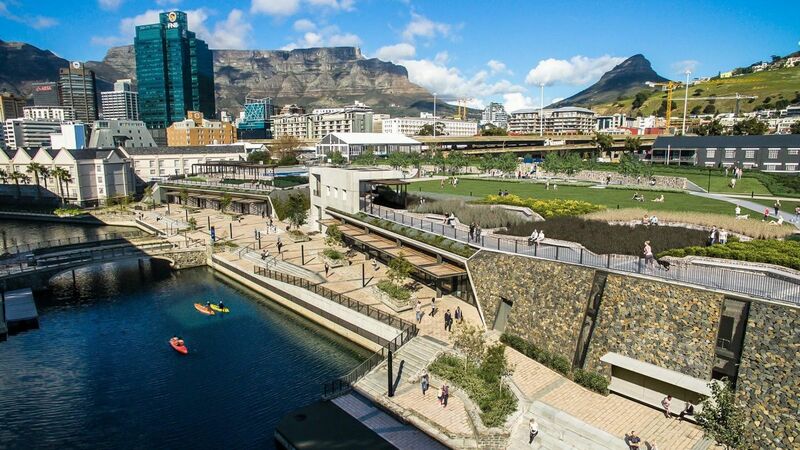 The V&A Waterfront CEO, David Green, says “a key objective of the Waterfront has always been to re-establish the connection between the city and the sea, which we have achieved with the pedestrian pathway that runs alongside the canal”. To access Battery Park from a City Sightseeing red bus tour, hop off stop 2 (the Clocktower) in the V&A Waterfront’s Silo District. Established in 1787, the battery was a defensive wall built along Table Bay Harbour to guard the city against seaborne aggressors. To recreate the look and feel of the old Amsterdam Battery, stone-filled gabion walls have been used across the park. The Piazza comprises retail stores, pedestrian paths and gardens. It has stairs leading down to the canal and offers great views of leisure activities on the canal. The park has a family-friendly area with play equipment such as a jungle gym, scooter path, swings and rocking horses for the young ones. There are also outdoor recreational activities for teenagers, including a basketball court and skate park. A dedicated area of Battery Park will house an amphitheatre similar to the existing one at the V&A Waterfront, where live entertainment will be offered. This wind-protected area is also perfect for picnics with family and friends, overlooking the V&A Waterfront. You may choose to go cycling or running along the canal, or simply grab a coffee and a quick bite at one of the food outlets. The park is managed and maintained by the V&A Waterfront, including security and cleaning services. 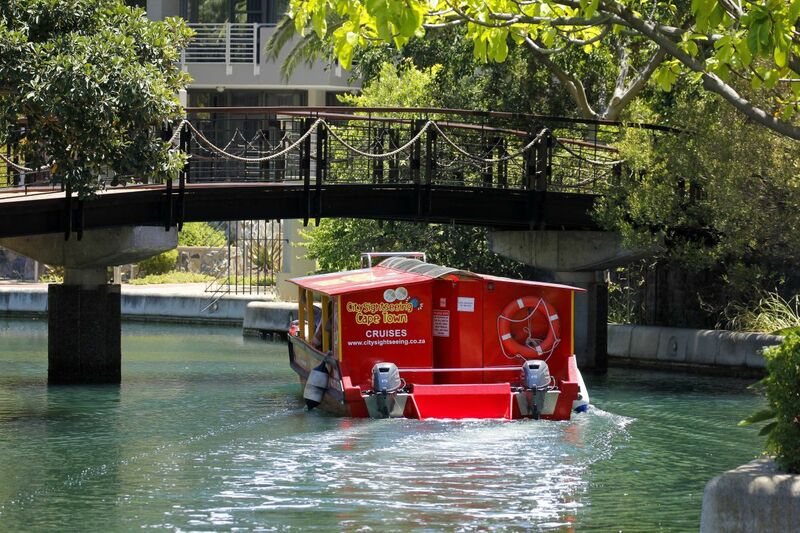 Buy your City Sightseeing Canal Cruise tickets here.